I love to photograph those who impact the world through education, service, arts and culture. I am inspired by those who follow their passion and love to capture that through my lens. 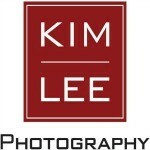 I specialize in commercial, editorial, business, event, portrait and fine art photography. Essential Services I specialize in commercial, editorial, business, event, portrait and fine art photography.